If you're looking to build your own personal or business website with a do-it-yourself website builder, you've probably heard the name Squarespace pop up frequently. It's a big name with excellent brand awareness that features memorable television, radio and podcast commercials. However, choosing the right website builder is an important decision and a fair question to ask is: Does Squarespace deliver on the hype? 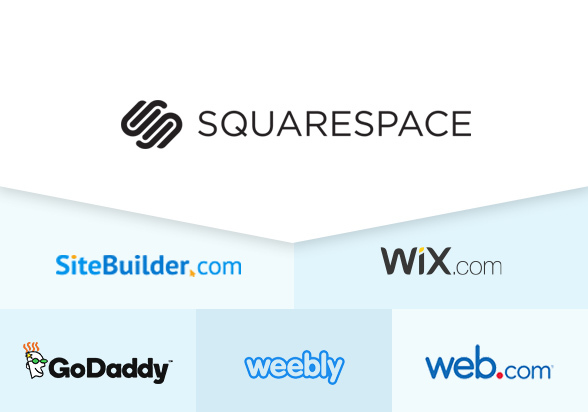 We sought to answer this question by checking how Squarespace stacks up against the other leading website builders, such as our pick for best website builder, Wix​. Squarespace is an easy-to-use and intuitive website builder that can handle all types of sites, from blogs to Ecommerce shops to online photography portfolios. Squarespace is not just for your personal blog though - it has built official websites for companies ranging from Airwalk to Pixar to Halo Top creamery. With incredible templates, free unlimited hosting, airtight security, and personalized customer service, Squarespace can take you to the next level. And when you’re ready to get there, Squarespace is scalable enough to handle it - and then some. Though some website builders may be simpler, Squarespace’s drag-and-drop editor is still very much a cinch to use even for people who are novices with web design. It features nearly 100 templates which are beautifully-rendered and arranged into a wide array of categories from food and drink to music to wedding sites and more. The templates are highly-customizable, can give any site a professional look, and are especially well-suited for sites that highlight photography portfolios. Squarespace specializes in creating an all-in-one service that keeps things simple. Every paid plan includes web hosting and the site’s Ecommerce option makes it very simple to get your first online store up and running. In addition, Squarespace has developed a logo maker which takes the stress out of creating branding for your company. Simply put in the name of your company and you can easily select a Squarespace-create logo that you can then add to all types of merchandise. Squarespace is also a smart option for bloggers, mostly because of the clean and attractive templates, but also because it provides you a highly-customizable canvas for your blogs that incorporates media management and social media integration. Whatever type of site you build with Squarespace, you will have responsive templates that are automatically mobile-optimized for all types of devices. So now you’re interested in Squarespace, but what will it cost you? This is where some competitors might have an edge on Squarespace, but it’s by no means a knockout. You can start on Squarespace with a 14-day trial, and then you’ll have the option of four separate payment plans - two for websites and two for online stores. All plans include: unlimited, pages, galleries, blogs, bandwidth and storage, up to 2 contributors, 24/7 support and SSL security. All plans include features from business plan, unlimited products and zero transaction fees. Though it’s very simple to use Squarespace, there may be times in which you hit a snag. It has a comprehensive knowledge base that you can access on the company website. It’s a very helpful resource that includes manuals, tutorials, and video workshops, as well as an FAQ section. At the moment there isn’t a phone line for customer assistance, but your help options are extensive nonetheless. Now that you’ve heard what Squarespace has to offer, you may be ready to go all-in and use it to host and build your website. Squarespace would certainly set you up well, but it’s worth taking the time to survey the competition before you make your decision. So without further delay, let’s start with the top website building and hosting company in the game: Wix. Wix has become an industry leader in website building by combining ease of use and beautiful templates in an all-in-one building and hosting package that anyone can master. The Wix editor has a very simple, drag-and-drop interface that is designed for people who want to build a website, but don’t want to mess around with code or are intimidated by the whole process. It will also let you sign up for a free account so you can try out the system free of charge, though the builder really starts to soar once you invest in a paid plan. Wix allows you to set up an Ecommerce site with a store and shopping cart. It also includes the “Wix App Market,” which features hundreds of apps you can download and install on your site, creating virtually endless customizable features. There is also a large number of integrations that Wix can accommodate, including for running a Facebook store. Typically most Wix users only need about 15-20 minutes to get the hang of the editor, though if you want to make it even easier, you can hand over the keys to Wix’s Artificial Design Intelligence (ADI) system, which will create an entire site for you from scratch, based on your preferences. Here’s a look at the pricing for this Squarespace alternative. GoDaddy​ is a synonym for website building and hosting, largely due to a series of eye-catching Super Bowl commercials. It is the biggest domain registration service in the world, and also offers a wide range of website-building tools that are easy to use and can help you get set up for a personal website or a quality Ecommerce site. There are over 50 templates available for users on the “personal” GoDaddy plan, and around 300 for those using the Business and Business Plus plans. Variety is the name of the game, though one word of caution - if you ever want to change your site’s template, you’ll have to redesign it from scratch. GoDaddy is an easy to use website builder, though it’s not quite as intuitive as some competitors like Wix. Nonetheless, it shouldn't take long for beginners to master, especially the drag-and-drop editor. And if you have any problems, GoDaddy has some of the best customer service in the industry. Weebly​ has only been in business a little over a decade but has already staked a claim to being the easiest website builder to operate, and today runs more than 25 million unique websites. Weebly is known not only for its ease of use, but also for a wide range of affordable service plans which include web hosting free of charge. Weebly also provides users with access to dozens of templates, which run the gamut from minimalist to bold and flashy, and should match any personal website or online business need. Weebly has improved the user experience by also providing a real-time dashboard that gives you a look at your site’s stats in real time, including traffic and Ecommerce activity. In addition, Weebly comes equipped with a very solid mobile app that makes editing your site a breeze no matter where you are. And when it comes to customer support, Weebly provides a helpline answered during business hours in the US, as well as a live chat option, online help form, and extensive knowledge base. Web.com takes a ton of website templates - and then adds a whole lot more. At last count, Web.com had over 2,500 available templates organized into 30 different categories. Even better, if you want to change your template at any given time, Web.com will migrate your content over, and you won’t need to rebuild your site from scratch like on other website builders. 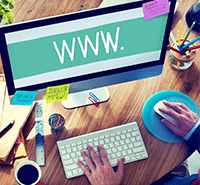 Web.com has received mediocre reviews for its user interface and is not considered to be as intuitive or easy to use as site builders like Wix or Squarespace. 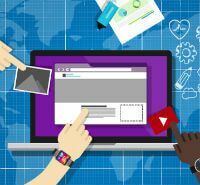 Wix does have a number of tools to help you out though, including its “website coaches,” who will help walk you through how to use your site and get the most out of it. Another interesting aspect of Web.com is the boutique custom built site option, which allows you to hire Web.com’s design specialists to craft you a site from the ground up, exactly to your liking. SiteBuilder is all about helping you find a very well-polished website that’s easy to use no matter your web design experience, and which can serve all of your basic needs. It doesn’t have as many features as some other website builders, but has more than enough for most people and you can try it out on a free plan to see if it’s to your liking. Sitebuilder comes equipped with more than 1,000 website templates and an extensive image library that you can use to customize your site with rich media, and all of its available on the free plan. That said, storage is a bit limited, with the plan only giving you 50MB of storage, which goes up to 10GB when you upgrade to the Premium or Ecommerce plan. This is a lot less than on other sites, but should be enough for most users, unless they want to load down the site with lots of large files. The bottom line is that SiteBuilder is easy to use and is well-suited for individual and small businesses who want to set up a solid website that won't give them a lot of headaches. There’s no doubt about it - Squarespace is a top-notch website builder that puts all of your design and hosting needs under one roof, and can make you look like a pro even if it’s your first attempt at web design. That said, for anyone shopping around for a website builder, the variety has never been better, and if you’d like an alternative to Squarespace, there are more than a few website builders that can make your vision a reality. So take a look around at these Squarespace alternatives, think of what you need to make your website look like you want, and hit the ground running. It’s never been easier. Check out our comparison chart of the leading website builders on the market.